Ghazale Enterprises, Inc. was founded in 1991 by Hassan Ghazale. The company specializes in constructing high-end residential projects in The Bekaa Valley for individual sale. With several projects concluded and sold, and several others forthcoming, Ghazale Enterprises, Inc. has earned the reputation of being the leading private construction company in the Bekaa Valley. 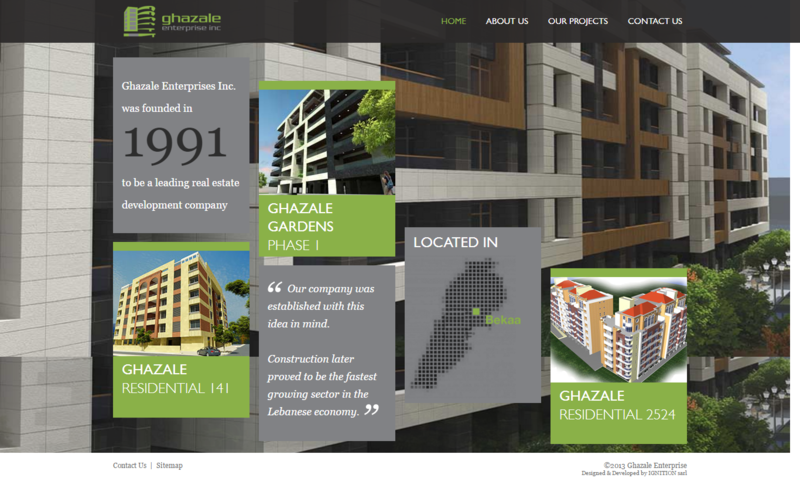 Ghazale Enterprises, Inc. launched its responsive customized website in 2013 based on custom CMS.